Federalist Or Anti-Federalist? Foundations Of Freedom Thursda! Federalist Or Anti-Federalist? Foundations Of Freedom Thursday! Federalist Or Anti-Federalist? 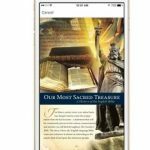 Foundations Of Freedom Thursday: It is Foundations of Freedom Thursday, a special day of the week where we get to answer questions from you, the listeners! Tune in today as we answer your questions such as, which is better, Federalists or Anti-Federalists? Why can’t they hold the Speaker of the House responsible and throw him in jail until they do their jobs? Does the president need an act of Congress to change the Birthright Citizenship Amendment? And so much more, right here on WallBuilders Live! Welcome to the intersection of faith and the culture. This is WallBuilders Live! where we’re talking about today’s hottest topics on policy, faith, and the culture, always from a Biblical, historical, and Constitutional perspective. 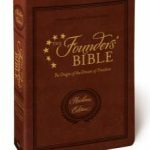 Especially today, Thursday’s is our Foundations of Freedom Thursday special program where we let you ask the questions, and then we dive into the founding documents, into the Biblical and the historical perspective on the issue, and hopefully come up with the right answer. We’re with David Barton. He’s America’s premier historian and the founder of WallBuilders. Tim Barton’s with us, a national speaker and pastor and President WallBuilders. My name is Rick Greenham; I’m a former Texas legislator. While you’re there, go to WallBuilders.com and become a partner with us. Help us keep this program growing across the country and get it into as many hands as possible to help equip and inspire folks to restore our Constitutional Republic. You can do that through a donation right there at WallBuilders.com. Or, you do it on our radio site WallBuildersLive.com. We are a listener-supported program; so, we’re able to bring you this great information because of donors out there just like yourself that make it possible. David, Tim, always looking forward to these Thursday programs because most people tend to send in the questions that I want to ask you guys; but, I don’t want everybody out there listening to know that I really don’t know that much, and I have to wait on them to ask the question. Fortunately we have listeners who do ask questions; and, Rick, sometimes even even answering some of these, because we’ve seen some of them sometimes in advance and doing a little research to find the right answers–we talk about this in the show. It’s even interesting some of the things we find in looking up some of these answers to be able to give this constitutional perspective; so, it’s even fun for us being able to go back and do the research so we can have these conversations. Not only are we getting to answer listeners’ questions, we’re getting to answer questions we have ourselves, and we’re discovering the information as we’re going back to original sources to find it. It really is a fun way to kind of do a show on this Thursday. Let’s dive in and see what actually the Founding Fathers said about these specific issues. We are very grateful for people asking those questions as well. The first question, I have actually pondered myself, and I’m not sure where I would come down on this one. Let me just toss this to you guys. I feel like a split personality when I try to answer this one; here goes. Now wait; you’re just talking a split personality, not gender, right? You don’t have any problem with gender. Okay. Both of these personalities are men, just in case anybody was wondering: to two male personalities. Guys, it’s great question. We appreciate Joe sending that into us. Man, I’m going to sit back and listen for a minute; because, I’m very curious how you guys are going to respond to this. What would you say? Just based on that, what would you say? What would you be? He just said that he would like to sit back and listen to us; because, he’s already on both sides of the issue. Thank you for catching that. My gut reaction would be Anti-Federalists, just from the standpoint of Patrick Henry being so worried about the federal government getting too strong and and doing things that they shouldn’t do. But then, I don’t know that we would have even had a nation that would have lasted; that’s why I’m torn. They predicted some of the problems that we have, No question. What would you choose, Tim? I would lean, at that time, I think I would lean toward Federalism; however, they said, “based on what we see today.” That’s a different conversation, although we could talk about some of the problems that we have seen today have not been specifically because of the type of government we have; but, maybe because of the type of people we have in society, the type of people we have in leadership, or even the fault of the Church. I don’t know that we can even necessarily fault the government; but it is–Rick, I’m with you. There’s elements where I’m like No, I’m with Jefferson and I’m with Patrick Henry on this side; and then No, actually I’m with Hamilton and with Washington on this side. It really is an interesting question; because, both of them had very valid arguments that actually both sides ended up being correct on several issues of what they thought would happen one way or the other. I would like to say though that if George Washington was leaning a direction, I would like to say, “No, I’m probably with George Washington,” right? Just big picture; however, there were a lot of great thinkers saw a lot of problems that it would present that we have now seen evidenced in our culture, maybe not certainly as pertinent for them dealing with the issues that we are seeing in our culture today. Who Was on What Side? For them, the whole right-to-life issue, even though we had a big federal government, that was never something they thought the federal government was going take away– your right to life, aka abortion of the unborn. We’re seeing that manifested today, and they warned back then that a federal government was going to think that they have the ability to tell you what rights you do and don’t have, and that’s why we don’t want a strong government. That was one of the many reasons they argued against it. It really is an interesting quandary; it’s a great question. I’m going to tend to lean, I think, toward the federalism side a little bit; but, certainly I see the faults and the problems on both sides. Hey, David, before before you tell your side, David, give us a little bit more. You mentioned a few names there, Tim, so folks at home that may not know who was what back then. You mentioned Washington and Hamilton, I guess Madison also on the Federalist side. Then on the Anti-Federalist side, you mentioned John Adams. You have John Adams and Fisher Ames were Federalist. John Jay was a Federalist. On the Anti-Federalist side you’re going to have Patrick Henry and Richard Henry Lee. You’re going to you’re going to have Sam Adams and you’re going to have John Hancock and Elbridge Gerry and all sorts of guys on there. They had major, major debates between them. This wasn’t like a “Kum ba ya,” everybody came together it was for it; you had massive, in fact, really close ratification debates in Virginia with Henry on one side and Madison. I mean, this was a very difficult time in a split–it was a split argument among the very people that had birthed our nation. Here’s the difference. They were all Federalists; they all knew we needed a federal government. That’s why the ratification of the Constitution was unanimous. Every single state federalist or anti-federalist state, they all ratified the Constitution; they wanted a federal government. 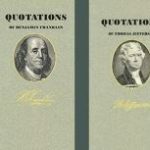 The other guys said, “No, that’ll never happen.” It was not that the Federalists were opposed to the bill of rights, they just didn’t think it was ever going to be necessary, “In what world would the federal government say that you don’t protect the right to unborn life?”That was inconceivable to them. What you’re looking at is a group of guys that just didn’t trust the government all that much. They’re both Federalists; they both want a federal government, and they both want protection for inalienable rights. It was just that one had a little bit more pessimistic view of how government would turn out than the other did, if that makes sense. It does; that helps a lot to not–it wasn’t so much opposing views like we have today in terms of liberal, conservative, or big government or a whole lot less. It was varying degrees of a small federal government. That was exactly it; because, nobody wanted a big federal, and nobody ever believed the federal government would come to the point where it would violate inalienable rights or try to take power to itself. Again, I used the word earlier; but, it was inconceivable to them that you would ever have a court that would make policy. Nobody on any side of the debate ever believed a court would make policy, ever. I would probably come down on the Federalist-Plus side. James Madison said, “If men were angels, they would need no government.” Well, if government were angles, you wouldn’t need limitations. I come down on the side that I think government, because it is composed of individuals and individual men and women, and men and women are flawed, government’s going to end up being flawed at some point unless you have limitations. I’m a I’m a Federalist-Plus, or what they would have called an “Anti-Federalists,” but that doesn’t mean I’m against the federal government or that I don’t want a Bill of Rights. federalism PLUS Limitations on the Federal Government. Because, they’re saying, “There needs to be limitations; we shouldn’t just have this big federal government.” You’re saying that it’s Federalist plus the extra limitations. Yeah, it’s not federalism to the second degree; it’s not double federalism. It’s federalism plus limitations on the federal government. It really could be a fun show to have an argument all show just that notion of Federalism and go back to the Founding Fathers’ era; because, there really is so much where you can take a side and say, “Yeah, but look at this; it could be dangerous. But what about this?” Really, kudos on that question; that’s a great question, especially seeing how it has played out and recognizing the stability that our nation has enjoyed because of what the Founding Fathers did establish. Yeah, no doubt. Great question, Joe, appreciate you sending it in. Folks, if you want to send one, you can send them to [email protected]. We’re going to take a quick break. We’ll be back with more of your questions here on WallBuilders Live! Hey guys! What are you doing. January 28 through February 7th? If you’ve said you don’t know, let me give you an idea. We are going to Israel, Rick Green, my dad David Barton, Tim Barton, and our families are going and we would love to go with us. We are going to the Holy Land. If you’ve never been to Israel, this is something as a Christian that will make you forever read your Bible differently. To see where Jesus walked, where he lived, where he did miracles, were so much of the Bible took place. If you’ve ever read the Bible and you’ve given a mental picture the mental picture will not do justice of what happens when you’re actually on the ground. Have you ever thought about the story of David and Goliath and you envision what it looks like, we’re going to go to the actual field where it took place! There are so many things that you will see that literally makes the Bible come to life. In fact, that’s the name of the tour group we’re going with is the Bible Comes To Life. Go to CMJacksboro.com and you can click on the link. It has an Israel itinerary, all kinds of details, we hope to see you on this trip this coming year! Welcome back. Thanks for staying with us on Foundations of Freedom Thursday here on WallBuilders Live! We’ve got more of your questions coming up. Before I go to the next question–actually, it is a great way for you to dive into the foundations. I got a really great email from somebody has been trying out some of the audiobooks you can get at WallBuilders.com. They said, “I ordered many of your audiobooks a month or so ago and listened to them while driving. I started with Noah Webster, who I know a good deal about, but I’m now listening to Daniel Webster, and it is like a constitutional primer. Guys, there’s lots of great ways to be studying the foundations. I think something all three of us, and obviously this listener, enjoys are the biographies and actually learning through the eyes of the men and women that launched the nation, not only early American history, but all throughout American history. It’s just a fun way to learn; these audio books are a great way to do that. 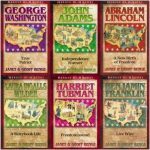 I spent a fair bit of time on the road, and I love listening to audiobooks, and we really do have a bunch of great biographies of great heroes. We’ve got probably 30 different biographies of these guys in the book section and then the audiobooks. It is a lot of fun. I really do enjoy listening to great biographies and great audiobooks. I really would encourage folks, just like this listener said, this really is fun stuff to get reacquainted with the biographies of these great heroes; because, we really don’t cover them much today. 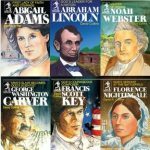 It is just a refreshing, uplifting, and inspiring look at American history through these audiobooks. The next question is about omnibus bills. He says, “I just finished listening to your Good News Friday program concerning the election results. You commented that the Democrats will probably not allow budget bills to be passed but will wait and send it all as an omnibus bill, which is against federal law. Yeah. First off, it’s not the Speaker of the House who you’d throw in jail; because, he’s the one who’s actually been doing the job. Paul Ryan was getting this done. If you want to say somebody didn’t get it done, it was the Senate. The Senate is the one; for the last couple of years, the House has gotten every one of their appropriations bills as required. It’s been turned out, I think maybe 12 or 13; but, they’ve done it. It’s the Senate that would not pick up any of them. The Senate finally picked up three this year, and so we’ve got three passed. That’s the first time we’ve had three passed in 10 years. But the Senate wouldn’t over there; because that silly filibuster rule, rule 22 on cloture, it takes 60 senators to be able to address what the law requires. So, at this point you couldn’t get Democrats to say, “We want to look at a budget. We’d like an omnibus where we can throw everything together and then we throw on our pet programs, and you guys won’t veto our pet programs, because that would defund the military, and you want to fund the military.” So, it’s been the Senate ,if you want to blame it on somebody. And if you want to be more specific, you can blame it on the Democrats in the Senate who use that cloture rule. Now, we’ve picked up a couple of seats over there, so I think we’re now looking at 53; but, that’s still not 60. Now, the House, I don’t think the House will turn out any of those 12 or 13 bills. So, why not throw them all in jail? A couple of things going on here. There is nothing in the law that gives you any kind of enforcement mechanism; it gives you no penalty for not following the law. It says, “The law is turn out a bill; turn out all appropriations bills every two years every session of Congress.” End of story. You are just supposed do it because it’s right. At this point, there’s no there’s no enforcement mechanism; there’s no way to force anybody to do that. The courts are not going to get involved with this; because, again, there is no enforcement no penalty to it. It’s just not going to happen; but, that’s the consequence of elections. Maybe Congress can pass a law to penalize themselves when they don’t do what they’re supposed to. I sense that would go really well; because, they actually make sure they put themselves under the same health care laws that we are under, and they have the same insurance we have. Which Congress are you talking about? You know, I think all congressmen probably do that, if you ask them, they think it’s a good idea and they’re going to work on it. Yeah, no, maybe not. Maybe maybe they go a different direction. This is this is one of the challenges if they don’t do their job, unless they’ve broken some kind of criminal or federal law. Then, as you mentioned in this situation, there is no penalty for them not doing their job, which is why so many people look at Congress and see their inadequacy of accomplishing the very task they were voted to accomplish. It seems for many of them they’re more interested in getting reelected than they are actually doing their job. One of such being this thing we’re talking about where getting a budget done. They don’t want to do it; but, there’s no penalty for them not doing it. If there’s no consequences, how many people are going to follow that? Right, then it becomes subjective. This is the outcome of where we are in culture and the reality of many of the people that we’re electing that don’t care about following through with their constitutional job and duty. All right. We’ve got time for one more question today; but, we’re going to take a quick break. We’ll be right back. Stay with us. You’re listening to WallBuilders Live! Welcome back to WallBuilders Live! Thanks for staying with us on the Foundations of Freedom Thursday. We’re taking your questions; you can send them into [email protected]. They can be about the Founding Fathers, or a policy of today and what the Founding Fathers might have done about that policy, or a constitutional question. Whatever you have, send them in to [email protected]. While you’re there, go to WallBuilders.com or WallBuildersLive.com. We sure would appreciate you making a contribution to help us continue to spread the good news that we spread through this program, including this constitutional education on Thursdays, Good News Fridays on Fridays, and the great interviews we have throughout the week. So, please do that at WallBuilders.comtoday. Is there Really a “Birthright Citizenship Amendment”? David, Tim, we’ve got time for one more question. Here we go. It’s a short one. [Inaudible] the 14th Amendment is that. But, I’ll take you guys take it from there. No, guys, the 14th Amendment, everything applies to everybody, and we just make up rules and laws, and we just pretend like–no, this is general welfare. It has to encompass everything, and we just say words from the Constitution as if context means nothing, and we can apply it however we want. Just because the Democrats now have the Speaker of the House, you just feel the need to voice their beliefs? Is that the deal? I just think it is important to recognize what we’re dealing with here, fellas. Actually, Dad, I know you are going to get into some of the context and where it applies, which is very important to look at. But, I think the conclusion and the short answer is ultimately it does not matter if it’s Congress or if it’s the president, right? That will not make one whit of difference; because, the world that we live in today–Rick, as you often referred to, it’s the “courts-titution,” right? Where we live under the courts, not the Constitution. All of that’s going to be thrown out the window. The battle we are dealing with is judges, which is why on Good News Friday, we’ve talked about the great news that we’ve had so many good judges put in place. Hopefully we can get back to some constitutional perspective. But, let’s back up and talk about what was really meant by this idea of citizenship or “birthright citizenship” as people argue it today. What you’ve got with that,Tim, the background on that, here’s what the 14th Amendment says; because, what’s called the “Birthright Amendment” or the “Birthright Citizenship Amendment” refers to the 14th Amendment. 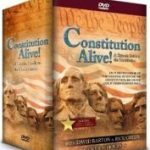 The clause that is so key that does not get paid attention to says this: “All persons born or naturalized in the United States and subject to the jurisdiction thereof are citizens of the United States and of the state wherein they reside.” What does it take to be a citizen of the United States? But what about people that come over and they have a baby here. That’s what I’m saying. That baby is not subject to jurisdiction. They were born here; they were taken right back across the border. There is no subject to jurisdiction; there’s no law that applies to them. They’re are out from under it. That was the point. You have to not only be born here; you have to be born here and subject to everything that goes on here. Okay, so what if they’re born here, and they’ve been raised here? Now here’s the next part.This is where–right after, within literally four years after the 14th amendment is passed with that clause, it goes to the U.S. Supreme Court. So, here comes the 14th amendment, and this is what the court says four years later when it’s looking at that amendment. It says, “The 14th Amendment declares that persons may be citizens of the United States without regard to their citizenship of a particular state,” those 11 states; and, it overturns the Dred Scott decision by making all persons born within the United States and subject to its jurisdiction, citizens of the United States. It specifically says, “Hey, if you’re a citizen of another state and come here and are born, you are not a citizen of the United States; because, you’re not subject to the jurisdiction.” So,what we call “anchor babies,” the 14th Amendment never included, the Supreme Court said it never included it. The 14th Amendment was designed to secure citizenship for blacks who’d lived their whole lives in America; but, these 11 Southern states said, “No, you can’t do it,” and it overturned the Dred Scott decision. That’s all the 14th Amendment did. No “citizenship amendment,” no “anchor baby amendment” anywhere in the Constitution. You timed that perfectly, David. We’re out of time and out of questions. We’ll have more for you next Thursday on foundations of Freedom Thursday. 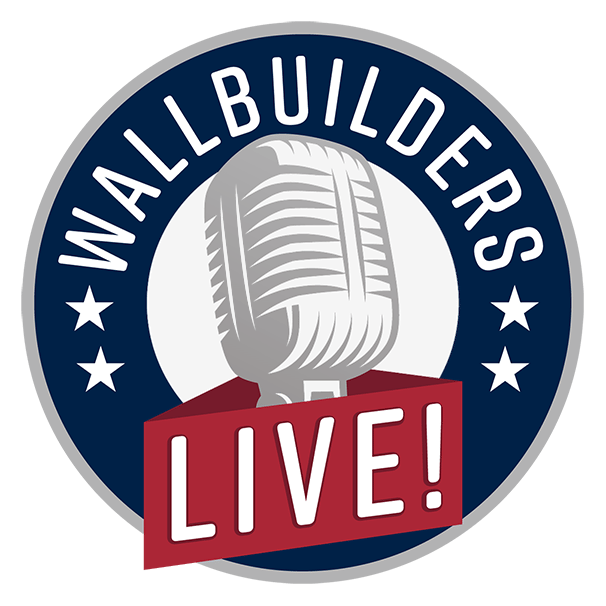 Be sure to listen everyday Monday through Friday right here at WallBuilders Live! Thanks so much; you’ve been listening to WallBuilders Live!